Changes Are Coming To The Goats! 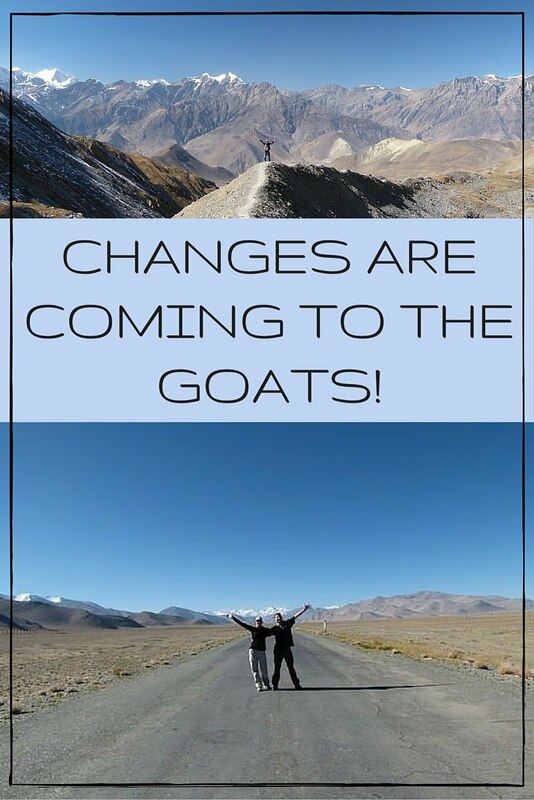 Goats on the Road Posts » Travel Blogs » Changes Are Coming To The Goats! The reason that our blog has been so successful is because of you, our readers. Thank-you! We are well aware of this fact and we are always trying to find ways to improve this blog and make it an even better travel and lifestyle resource for everyone who reads it. Last month we asked for your help and the response was overwhelming. We conducted a survey on Social Media, our blog and in our email newsletter and we had nearly 1,000 people answer our questions. We’d like the sincerely thank every single person who took the time to answer the 10 question survey. 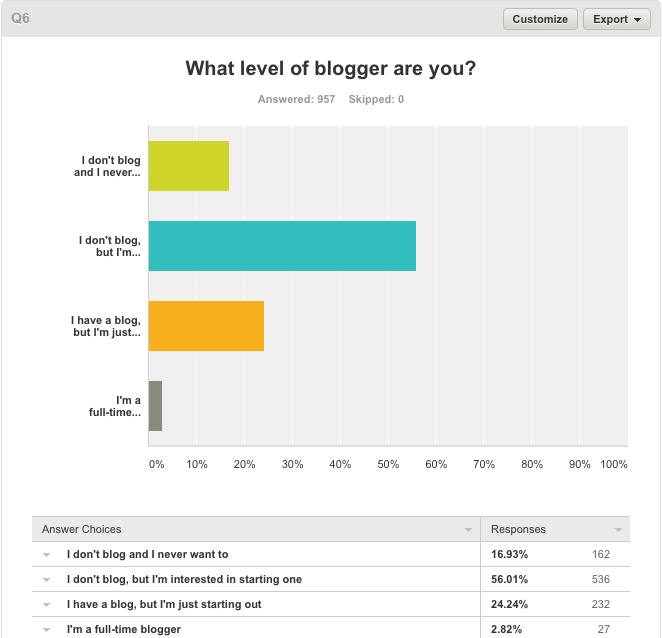 The data is extremely valuable to us and it will help us to improve our blog in the future. In this article I’m going to list a few of the things that we saw repeated in the survey and explain how we intend to fix the issues and improve upon them. You may be thinking that our blog is fine the way it is. If you do think that… thanks! But we know there are a lot of areas that could use improvements and a good travel resource always has to be updated and tweaked in order to make sure it’s valid and still 100% relevent. I’m very proud of the actual look of our blog, but some readers have explained that there are some issues with the functionality of the site and I can definitely understand this. The most important comments we kept hearing were that it’s not easy to find older posts, the light blue colour is hard on the eyes and the site doesn’t always look good on mobile devices. 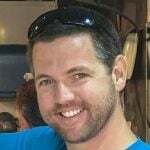 To rectify this issue, we immediately hired our designer, Scott from Eldo Web Design and he was on track to help us make the blog more user-friendly. Unfortunately, Scott had to back out of the project for personal reasons, so in the meantime, we’ve hired a freelance designer to help us with some important elements. The new site will be 100% mobile responsive and the layout will be less cluttered, making it easier to read. We’ll also be creating some new landing pages with our older posts and doing everything in our power to ensure that you can find exactly what you’re looking for when you come to our site. We’re going to get rid of the annoying drop down menu and try to make it easier to view posts and important content on both mobile and desktop devices. We also went one step further and upgraded our hosting package, which means that the site should be loading a lot faster. In one of our questions, we asked if anyone thought that our blog was too “selly” or commercial feeling. Some people did mention that they felt like the site had advertisements on it. The truth is, we really don’t have any ads on our site and hardly ever run them. While many successful blogs are covered with banner ads and flashing promotions, we’ve kept Goats On The Road as clean as possible. Any side bar ads or banner images throughout the site aren’t really ads at all. They’re simply advertising our own posts to try to direct readers towards our best / most important resources. The reason other blogs have those ads is because they can earn the bloggers money, but we feel that the annoyance of flashing banners isn’t worth it, so we don’t have them on our site. Instead, we have some affiliate links which help to earn us an income. We only recommend services that we use, or ones that we think would be useful to our readers and would never recommend anything that we don’t fully endorse. We are still trying to figure out where people have seen ads on our site. To rectify a possible issue, we are going back on our older posts to make sure that there are no ads and that the services recommended are still relevent to travellers and don’t come across as “pushy” in any way. We want to recommend services we find useful, not force or coax our readers in any way. We’ve been on the fence about writing too many articles about “travel blogging” rather than just writing about travel. This is a hot topic for us because this blog is all about “turning travel into a lifestyle” and in our experience, the best way to do this is by starting a blog. From our survey, we found that a surprising 56% of our readers don’t have a blog, but they are interested in starting one. This doesn’t mean that we’re going to clutter our newsletter and feeds with tons of “How To Be a Better Blogger” posts, because we know that the other half of people are more interested in travel tips, how to save money and destination inspiration. We will be adding a few more posts about why we started our travel blog, how we got started and how much we earn from it, to show people that blogging really can be a reliable source of income. At the same time, we want to produce more epic guides, how to’s and getting started posts about travel. So we’re considering hiring a couple of writers on Goats on the Road to help us create more great content. Of course we’ll have to vet new writers and make sure their articles will be up to par with the current content on this site. All this is to say that in the coming months, there will be a lot more posts getting churned out of Goats on the Road. One of the aspects of this blog that takes up a lot of our time is video creation. If you’ve ever checked out Our Youtube Channel, you’ll know that a lot of effort goes into creating our destination videos and digital nomad diaries. Our YouTube series, GoatLife TV has been running now for nearly 2 years, publishing a new video every single week. It is definitely one aspect of our blog that doesn’t get a lot of attention (or make any money), but one that we love to do. We feel that weekly videos are the best way to show people what life is like as a digital nomad and their also the best way to show off destinations, people, accents, culture and food. We will keep creating videos on Our YouTube Channel for now and we would love if you could check them out from time to time, comment on them and help us to improve them. We didn’t add much about our videos into the survey, but some feedback would be great. Thanks! 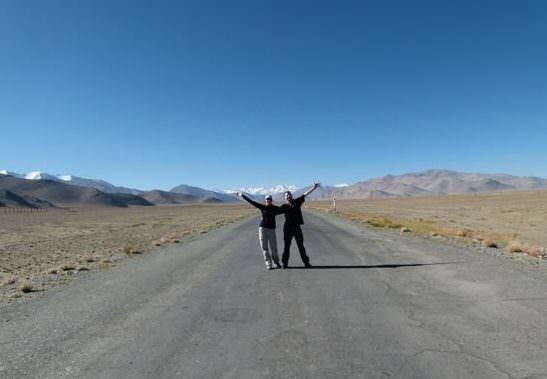 We were actually very interested in the type of travellers that visit this site. Not surprisingly, you are a lot like us. We found that in most ways, we have attracted readers who we would probably love to go out for wine with… which is really cool! 41% of you prefer to stay in hostels, 27% like hotels and 27% stay in apartments. That’s very similar to how often we stay in each. 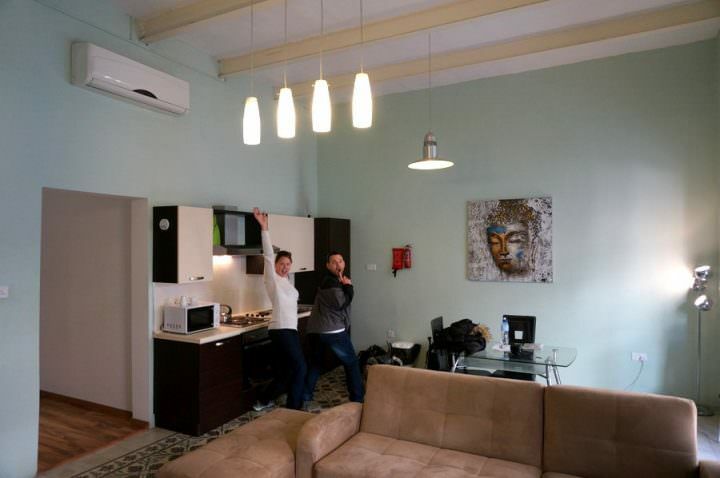 We usually stay in hostels and the other time is pretty much split between hotels and apartments. One thing that we were surprised about is that most of our readers are heading out on 1 week trips, as opposed to long-term travel. We figure this is because a lot of you are from North America and only get a couple of weeks holiday per year. We were the same way so we can totally empathise! The fact that most of you are also interested in starting a blog, shows that you’d probably travel longer if you could make money while doing it. Which is why we’re here! Nevertheless, we’re going to start publishing more “one week guides” to each city / country we visit. That way, if any of you are planning a one week holiday, you can use our itineraries and tips to help you plan the perfect trip. The survey also showed that 14% of readers are interested in food and wine, 32% hiking and outdoors, 18% adventure and 36% culture and history. I’m sure that 99% of you are just like us and would have chosen “all of the above” if it was an option! The majority of readers actually have a similar travel budget to us as well (between $30 and $50 per person per day). We’re aware that a lot of people have a lower budget as well because our guides are typically geared towards budget travellers. We will start to include more information about all budget ranges to help people better choose where to stay, what to see and how to get around. We’re so happy that we decided to do this survey. We’re now going to make it an annual event. Every year we’ll ask you guys 10 questions and give away a prize to one lucky person who completes the survey. The data is priceless for us because it will help us to improve this blog and make it better for you. We want this blog to be the ultimate online resource for anyone who wants to leave the normal 9-5 life behind and explore the world full-time. We also want it to be a great place for travellers to communicate, share ideas and learn about new destinations. In the coming months we’re going to be spending a lot of time going through all of your responses and trying to make this blog better. As we just travelled through Eastern Europe for a few months, we’re going to go back on our notes from the region and publish some epic guides, what to do’s, how to’s, one-week itineraries, favourite hostels and must-see articles, so stay tuned. We also have lots of great content coming from Malta and there will be more posts about how to be a successful online entrepreneur and how to find jobs and make money overseas. Thank-you all so much for reading and for helping us to improve our blog! Is Travel Blogging a Reliable Source of Income? Havana, Cuba – Could This Be Our New Favourite City? I was really surprised that responses to your videos have not been better. That’s the first thing I go to when I get your newsletter each week. I’m disappointed if there is not a new one. The quality is excellent and the subjects are always interesting. I don’t comment a lot, because YouTube tells me I need a password and that the one I use is wrong. I’ve tried to fix it, but it’s a hassle. But that’s not your problem! Please keep producing those great vids. Why not sell them to tourist agencies and get a royalty every time they are used? Im surprised too. I love your videos. They’re very well done and enjoyable to watch but I have the same problem with leaving comments. I can’t even click on the links you guys point to on the screen in the video. Nothing happens. Admittedly, it’s probably the user. I really like the look of your blog. I think it’s clean and easy to use. Though I’ve spent a lot of time here so know where most everything is. My favourite part though is seeing parts of your day to day lives, regardless if it’s video or text. Keep up the excellent and interesting work you do. Wow, thank you so much for your feedback, we really appreciate it! It’s nice to hear that people enjoy our videos 🙂 Regarding you not being able to click on the things that we point to – if you’re watching on a tablet or smartphone, you won’t be able to, it’s something to do with YouTube, not sure why! I agree that their YouTube channel is amazing. It totally makes them stand apart from other professional bloggers as I don’t see some of the top bloggers use YouTube much to tell their travel stories. Probably has a lot to do with the time and effort it takes to produce such high quality pro-amateur videos. Thanks so much Ray! That’s great that you’re enjoying the videos. You’re right, they do take a lot of time to produce and edit, but we think it’s worth it and are glad to see that our readers feel the same way. Thank you for your comment and positive feedback Charlie! We have sold a couple of our videos actually, and some clips of drone footage too 🙂 But not all that often. We should try some more. Thanks again for reading and for watching our videos, we really do love making them. Hey guys, thank for sharing the findings, it makes some really interesting reading and it’s great to know what the readers think. It’s a shame that you didn’t add a youtube question in there as I think you would find that a lot of people love what you do each week so keep going. We are just starting off and when you put a good few hours into a recording, editing and linking up a video for it to get 6 views it can be a little disheartening but if you love doing it (like we do) then I think you have to ignore that as they will pick up views over time. Also if anyone comes to the channel they can check out your massive back catalogue, bonus! Surveys are extremely helpful, and in the blogosphere it seems (although it may very well be only a perception) that many are timid to survey their visitors, readers, and fans. As you likely agree, transcending that concern and opening a dialogue with our visitors enables us to empower our blog—which is fun—and empower our readers even more. Hi again, one thing about your great Blog that I’ve noticed is that I as a retired Englishman, there is no mention of cheaper travel for us ‘oldies’, In Turkey and in India there are great reductions for train travel, as much as 40% or more, on some but not all journeys. Also in India there are a few places reserved for foreigners which can get you onto a heavily booked train, and older people usually get bottom berths in the sleepers, although I prefer a top bunk. I’m planning on a long, (7 or 8 months) trip, back to Nepal, (my favourite country), India, Sri Lanka, Andaman Islands then back to Nepal, before flying from Delhi either back home to Bulgaria, or possibly Kabul for 3 or 4 weeks. Perhaps a short article on discounts would be helpful for others , too. Ps, I travel on a very limited budget, so all tips are useful. Keep up the good work, Englishmanrick. Thanks for the comment and ideas Rick! It’s a bit difficult for us to know about discounts for “oldies” as you put it 😉 But, perhaps we can try to do some research and figure out what they are when writing articles – thanks for the suggestion and enjoy your upcoming trip! Keep having fun! Love following you down the road. I have been following your YouTube Channel primarily for the past 6+ months, and must agree with fellow Goats on the Road readers that this media format is what makes you really stand out from other travel bloggers that I follow. Your use of storytelling, drone footage, editing, and licensing local musicians to provide background music (the Malta videos come to mind) are top notch and extremely professional looking. Great job given it is just the two of you producing these on a weekly basis! Keep those up. I would have no problem if you somehow leverage YouTube to increase your funding for future travels. Like one of the readers mentioned above, approaching local tourism boards to reuse your footage for a commission/royalty basis might be the best way to make an income from it! Thanks so much for this comment Ray! We loved that we were able to use the local band when in Malta, and have used a smaller Canadian musician’s music before as well. We have another song coming up from yet another smaller musician from Denmark – love being able to help them promote their music! Light-Hearted! JOYful! and FUN ! That’s how I see your wonderful videos! And they’re informative and insightful! I always feel Uplifted during and after viewing. I too am surprised at the low number of views. Maybe followers don’t realize they’re only 5 minutes long? You both have such Great interaction and Playfulness, it’s a Pleasure to see. Thanks, and apprecitation for your ideas, effort, and expertise. That may be a consideration that you obviously cannot do anything about, but may explain why they are not more popular. They definitely should be. But it is easier for most people to just read rather than watch. Ahh, thanks for pointing that out Jennifer! That’s so true. When I was working in the office, I too would daydream and read blog posts all day wihtout the boss knowing 😉 But, it’s more difficult with videos for sure! After reading these comments, I’m going back to find and view your videos. I know I seen some of Malta which was a huge enjoyment for me as we had lived there for 1 1/2 years some years back. It’s a lovely little island with great industrious people. Would love to go back one day. Thanks Bill! Yes, we agree, Malta is great 🙂 Thanks for watching and commenting!